I got this email from a reader Jack Brooks on Vivian Sheehan, a well-known speech therapist, working together with her husband Joseph Sheehan: see this page for some audios. (Also check out a documentary on the Sheehans. 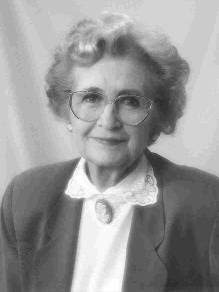 Unfortunately, I learned of Vivian Sheehan's passing only recently and had been out of touch with her for several years due to relocating. My own experience with Vivian and Joseph Sheehan was as a severe stutterer who participated in the UCLA Group Speech Therapy Program in the mid 70's after fatefully seeing the Sheehans with Mel Tellis on a daytime talk show and thence contacting Vivian. She interviewed me thereafter at their house in Santa Monica and I saw immediately her deep understanding and empathy of the challenges faced by a stutterer. After "passing muster" as a willing stutterer with Vivian, I participated in 3 rounds of the eight-week group sessions at the UCLA Clinic Speech Therapy Clinic with her, Joseph, and other therapist/trainees. 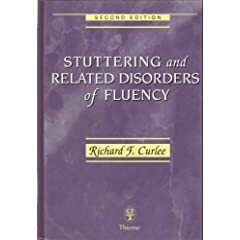 This, unlike my prior years of well-meant but ineffective private therapy by highly respected speech therapists, was to be the life-changing help that enabled me to "earn the fluency" that came as a by-product of the real treasure that the Sheehan therapeutic process gave us participants, which was learning to become a stutterer "easily and openly." Joseph and Vivian's radical but utterly logical therapy led this fearful, shamed recluse into becoming an excited, gregarious stutterer, who'd talk your ear off about "my stuttering," while looking deeply into your eyes, on fire about the new passion of communicating with the rest of humanity after so many years of self-confinement in a prison of fear to speak. After Joseph passed, I went on to attend Vivan's Clinic at St. Joseph Hospital in Santa Monica periodically for "tune-ups" and to maintain contact with her. Visiting her at home once, when I expressed my interest in how "it all started," she freely shared copies of some of Joseph's groundbreaking early papers and writings that were the foundation of their therapeutic model. In early 2000, I had the privilege of attending a pre-retirement gathering at her house with of some of the stutterers who'd continued working with her and was able to share my deep gratitude and continuing inspiration for speech that she and Joseph so lovingly fostered. My mother, also a stutterer, had said, "it takes a stutterer to know one!" Joseph Sheehan, a stutterer himself, knew this full well. I firmly believe Vivian did as well. She will live in my heart always. She reported, there really isn’t much of an update since we last spoke [in December]: We’re still in partnership discussions and we’re still optimistic. The last time we spoke, I expected that we’d have something finished by end-of-year, but of course the problem with offering a timeline is that things always take longer than you hope, never shorter. She said: We’ve been talking with more than one company. I said, this apparently means that the discussions are not as far along as I had previously optimistically assumed. She said: Well, it’s actually possible to have discussions with multiple companies simultaneously which are in a late stage; it’s not uncommon to do so, because there can be snags with one company and you don’t want to start over. All along we’ve been in discussions with multiple companies. We still consider this an important asset for our company and we want to get it into good hands to maximize its value to our shareholders. As previously reported, we don’t want to develop it ourselves because it’s outside of the core competency for our company. I asked, what’s the status of the Phase II trials? She said, Phase II has ended, except for the open label phase; participants were given the option to continue; we’re still continuing to monitor. Anecdotal reports continue to be favorable. I said, I keep looking for a scientific article. She said, actually we’ve submitted to a couple of different journals. But publication is not up to us, it’s up to the journal and their sense of the importance of the results. We’d like to have it published because it’s good publicity for us...The journals tend to be more interested in Phase III results because it’s closer to becoming a reality. I am happy to see that there are also Iranian researchers working on stuttering. 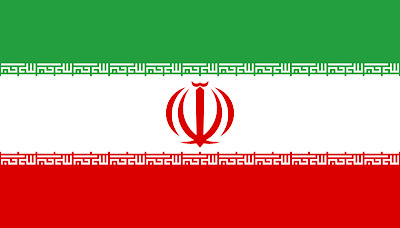 As with the Chinese, I have always been impressed by the Iranians I have met. They were highly educated and very civilized. The Iranian news agency talks about research on a computer model to simulate human speech processes and thereby showing that basal ganglia malfunction could be at the core of stuttering: see here. I am impressed by how scientific and clear thinking the article is, unlike 90% of articles from Western authors. If anyone knows who the researcher is, please let me know! Here is a shortcut of the press release. Iranian researcher in medical engineering has worked out a project examining impacts of medical treatment on patients suffering from expression difficulty, stuttering. He managed to design a computer model upon the brain function to monitor the impacts of the medical treatment. The mechanisms behind the stuttering are still not clear and scientists have introduced variety of reasons for it but a major line of research over at least three decades has investigated the possibility of a speech motor control disorder as at least one component that this is influenced by emotional stats and environmental factors. There are strong indications that the basal ganglia-thalamo cortical motor circuit, through the putamen to the supplementary motor area, plays an important role in the pathophysiology of stuttering. Also the influence of emotional states on stuttering is well compatible with the suggestion of stuttering as a basal ganglia disorder. Hence, the core dysfunction in stuttering is the impaired ability of the basal ganglia to produce timing signals because of the unregulated value of dopamine receptor density in it. Although scientists showed the relation between the basal gang and stuttering, but yet there is not appropriate computational model to show this relation quantitatively. In this study, we propose a computational model that explains the role of basal ganglia in stuttering. Different parts of the brain involved in stuttering are all considered in our model. Our computational model has considered the involved parts of the brain in a fairly accurate way, explaining the behavior and mechanism of the disorder according to physiological information. Using this model, we can predict the effect of changes in dopamine and other basal ganglia neurotransmitters in different situation such as emotional states. Also, we can predict the effects of different drugs on the stutterers. What many therapists really think! 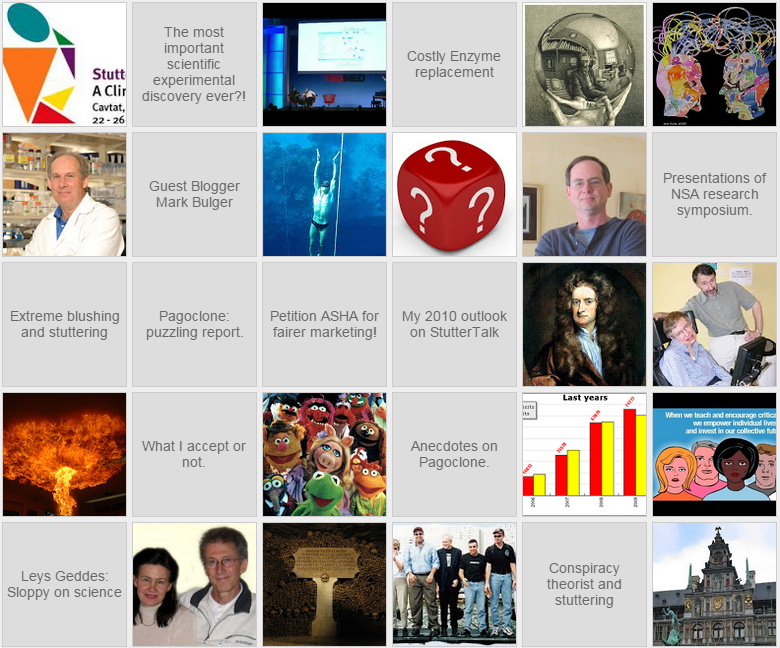 I am from Australia and currently work as a speech pathologist (as we are known here). I do not specialise in stuttering, but have seen around 15 cases of stuttering in children aged 4-14 since graduating 7 years ago. I read some of your blog early last year, and was reminded of it when I found an old email that I'd sent to a friend, who used to be a speech pathologist, regarding your "Do therapists believe in their therapy?" post. I thought what you wrote in this post was very accurate, and can be applied to other areas of speech pathology besides just stuttering. Currently, high-level scientific evidence (from meta-analysis of several independent randomised controlled trials) is lacking in virtually all areas of the profession. Your blog has many valid points regarding therapists and therapy for stuttering. I commend you for taking a sceptical approach to stuttering therapies, and am writing to tell you of some of my experiences. When I was a student, I took a semester subject on stuttering in the 3rd year of the degree course (of 4 years). The subject differed to other speech therapy-specific subjects in the course, in that it only had one lecture given by somebody other than the subject examiner. Nearly all of what was taught in the subject was 'smooth speech' (a variant of prolonged speech) for adults, and the Lidcombe Programme for children. I felt very much that the therapy techniques our lecturer used/preferred were emphasised, rather than giving equal time to other techniques. Much lecture time was also spent on practising 'rating' videos of stutterers - where we would count the number of syllables spoken, syllables stuttered, etc. We had a few 'recovered' adult stutterers who had gone through the university's intensive fluency clinic (learning smooth speech) speak to us of their experiences. We got to observe our lecturer taking a case history with an adult, and deliver a therapy session to a pre-school child. In the final year of my degree, there was the option of undertaking an intensive fluency ('smooth speech') clinic with adults, but not everybody undertook this placement as it was part of an elective clinical subject, and not a core one. I did not do this placement, and the only stuttering clients I saw as a student were 2 adults, for 2 sessions each, in another placement at a rehabilitation hospital. I never directly worked with a child who stuttered until my first employment upon graduation. This level of exposure to stuttering would not have been uncommon amongst the students in my course. From my experience of working with children who stutter, the 'success' stories have all been with students aged under 7 (mostly under 6), and using similar techniques to the Lidcombe Programme and environmental modification (i.e. counselling parents and teachers on how to maximise their child's fluency/modify their own speech/what to do when the child stutters). I don't feel as though I have directly 'cured' the stutter in these cases, even though the students have gone on to have fluent speech. Rather, I may have helped assist/speed up the natural recovery process, and minimised the risk of the stutter becoming worse. It's possible that these children may have recovered on their own without my input. I must say that I do feel less competent when working with older students who stutter, because I feel that the expectation is that speech therapy should be able to 'cure' the stutter, but so far I've not been able to do this with the handful of older students I have seen. The stutter is usually also more advanced, and the student has passed the period of likely spontaneous recovery. I agree with you on thinking that therapists' focus on the other, non-speech stuff may be because deep down they know (or soon realise) that fluent speech maintained over time isn't likely to occur due to their therapy; and that it's too easy to blame it on the patient when the therapy doesn't work. One of the greatest barriers to developing 'expertise' in stuttering for the typical speech therapist is that it isn't something that most of us commonly see. I might see 2 students who stutter a year, but 100 or so students for other speech/language disorders. Frequency and duration of therapy is also another issue, as currently I am typically able to see a student once a fortnight maximum during the school year. Also, there are also always new referrals/assessments, etc. to be done. One of the most frustrating things I think I would find with speech therapy, if I stuttered, is the therapist believing that *they* are the 'expert' in stuttering, when they haven't stuttered a day in their life. By the way, the lack of male speech therapists isn't just specific to Europe - in Australia it's around 3% male, and I believe something like 6% of ASHA members are male in the USA. A study released by the University of Canterbury, Department of Communications and Development, suggests that stuttering in young children may not be linked to any kind of personal anxiety. By measuring the cortisol (a hormone linked to anxiety & stress) levels in the saliva of children ages 3 and 4 years old, researchers found no higher levels in the children who stuttered versus those who do not. According to Bianca Phaal, the masters student who recently completed the study, “Results of this study suggested that generalised anxiety and communication apprehension are not associated with early childhood stuttering, therefore it is unlikely anxiety is the root cause of stuttering”. I have been criticizing the Lidcombe random control trials in many posts (see for example here or search for Lidcombe in search bar) as not very convincing evidence due to methodological weaknesses and their uses as evidence to spread the message. It has been three years since the trials and the kids should now be at least 6 years old. I challenge them to publish data from those 50 or so kids that underwent treatment. How many are still stuttering? At ISA in Croatia, I or someone else asked Mark Onslow this question, and his answer was not very clear, but I recall something like "There are about 70%-80% fluent. So maybe Tom is somewhat right..." I didn't follow up as I should have. So again: What has happened to those 50 kids? What the Lidcombe people should do is the following: Ask an INDEPENDENT researcher to look at those 50 kids and evaluate their speech, and then make the results public. If all or nearly all kids are fluent, I will been more convinced about the efficacy. So if any of you hears someone cite the random control trial, ask the speaker whether three years later an independent person has confirmed that nearly all are now fluent! we lost one of the major players in stuttering research. Richard Curlee passed away in Tucson AZ. He had been hospitalized for some time with reoccurrence of conditions likely related to his polio when he was a child. Richard F. Curlee was a professor and head of the Department of Speech and Hearing Sciences. He is a graduate of Wake Forest College, and earned master's and Ph.D. degrees in communicative disorders from the University of Southern California. He has been on the faculty at the University of Arizona since 1975 and teaches graduate courses on stuttering, counseling and research design, as well as an introductory undergraduate course. He is a speech-language pathologist with clinical and research interests in the study and management of people with communication disabilities, especially those who stutter. 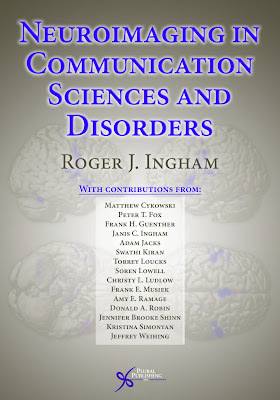 He has authored or co-authored several dozen articles and book chapters on stuttering and co-edited two texts on its nature and treatment. He has been an Associate Editor in the area of stuttering for both the Journal of Speech and Hearing Disorders and the Journal of Speech and Hearing Research. At present, he is an Associate Editor of the Journal of Fluency Disorders and the Editor of Seminars in Speech and Language. He is a member of Phi Beta Kappa, Phi Kappa Phi and Sigma Xi, and a member and Fellow of the American Speech-Language-Hearing Association. There can be little doubt that the huge developments in brain imaging technology over the past 15 years have opened up a whole new vista of possibilities for the assessment and treatment of human communication disorders. At issue of course is whether those possibilities are being realized and what form of influence this will have on the field speech-language pathology and hearing disorders in the immediate future. The rate of development in neuroimaging is so rapid that it is almost impossible to predict very far into the future in trying to understand this influence. Nonetheless, it is now becoming clear that the availability of technologies that make it possible to investigate, even in real time, the neural regions and systems that are functionally related disorders is having a transforming impact on the discipline. In this series we have brought together some of the principal researchers in our discipline and who are working at the "cutting edge" in applying neuroimaging to communication disorders. I am pleased to see that Chinese scientists are also pushing into stuttering research. I have always been impressed by their drive, patience and cleverness. It is an open secret that the outstanding success of US science has often been driven by foreign (including Asian) scientists at US universities, and not by the more commercial and evolution-denying US Americans, but who have provided the financial and political safe haven needed for science to prosper. China is changing and more Chinese scientists see a good future at home. Check out their abstract here. They found structural differences in stuttering brains using MRI. I need to look at their article to know more. Song LP, Peng DL, Jin Z, Yao L, Ning N, Guo XJ, Zhang T.
Rehabilitation College, Capital Medical University, Beijing 100068, China. I want to share with you the story of someone who started stuttering at age 18! It is a very unusual case which might tell us about stuttering itself. I am 26 years old and study civil engineering. My therapist and people who stutter (PWS) say that my story is a bit unusual, since I’ve started to stutter at age 18. No stressful situation occurred at the onset of my stuttering. If this was the case, I’m sure I would remember, because it was only a few years ago. I’m sure that I have never stuttered as child. I have an older sister who stutters, and my whole family and our close friends know the differences between fluent and stuttered speech. My story as a PWS starts when I was 18, attending 10th grade. I started to notice some difficulties when I had to say words starting with /r/. I would have to stop for a moment, before I would be able to say the word. At the beginning no one else noticed my difficulties, but I was very much confused. As time passed by, I talked worse and worse. Words starting with /r/ were not as much of a problem any more, but words starting with other syllables started to be a problem. My speech was still fluent most of the time, but after some 6 months people started to notice my problem. At this time, they thought that I’m kidding, but I couldn’t explain to them that I wasn’t jocking. Others asked me if I started to stutter, but I didn’t feel I was stuttering, since it wasn’t the same as other people who stutter whom I know. I felt angry at myself for having a problem that I have never had before, and I was already grown-up. That’s when I started to talk very bad and feel very bad about it. Heavy stuttering started some 2 years after the onset, at the time when I started university. In addition to my disfluencies, I had repetitions, blocks, voice prolongations and facial muscles spasms (grimaces), as well as spasms of muscles all over body - I would move my arms as a orchestra conductor, kick my feet on the floor, and so on. That is when I started to intentionally use synonyms in order to avoid difficult words and I started to avoid almost all speech situations that I possibly could. It frustrated me a lot. Interestingly for me, at the beginning of a hard stuttering period, I didn’t stutter when speaking under influence of alcohol, nor when I spoke in English, a language that I have never knew perfectly. For three years I couldn’t find a clinic or therapist, because people told me that no one works with PWS older than 18. In July 2003, I found out an Institute in Belgrade that works with adult PWS too. I immediately started a treatment with an experienced therapist. The first few treatments felt a bit silly, but soon I realised that if I want to improve my speech I will have to adapt to the treatment requirements. After only 6 months I have achieved big improvement, and I was extremely happy. 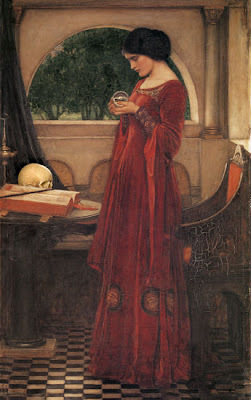 Therapy consisted of individual and group treatment and included direct fluency shaping techniques with a lot of psychological counseling and some elements of cognitive-behavioural therapy. Therapy required a lot of work by myself, and for the first three months I was doing fluency techniques excercises 2h/day, 6days/week. I was attending ambulance treatment twice per week. Soon, I started to feel more self confidence and I could control my speech even in some everyday situations. I stopped to avoid speech situations. Stuttering was still there, but in smaller extent than before. I practiced direct techniques less than before, but used it in everyday speech situations more and more. In July 2004 I underwent intensive 14-days group stationary treatment led by my therapist. Not much I achieved in fluency, because I already spoke fluently most of the time; I felt a lot more self confident and free from fear of speaking in all situations. Afterwards, bad periods with more disfluent speech occurred only during very stressful situations, such as exams on faculty. Those ‘bad’ periods were characterised by low level of stuttering. Today, I still have some disfluences (light blocks), but I don’t pay attention to them and don’t find them disturbing to me. Since my intensive course, I stopped going to treatments. I continue working on improving myself as a person and a speaker. I occasionally attend self-help group and have participated in a live TV show talking about me and stuttering in general. After that show, I received many calls and messages from my friends and colleagues teasing me that I am a fake member of self-help group since I spoke fantastically. I consider myself lucky not to have started stuttering early in childhood. 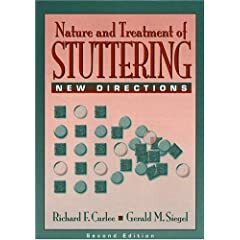 I speculate that this absence of bad and cruel experiences connected with stuttering during childhood and growing-up actually contributed in great extent that I solve my problem with stuttering in such short time. On the other hand, I think I would never achieve this good results if I haven’t continuously practiced and followed therapy tasks and demands. When I started with the treatment, my therapist asked me what I would consider as my goal in this therapy. My answer was “I would consider myself ‘cured’ if I were able to say anything that I want to, at any time in every situation”. Today, I can say that I reached this goal. That's the conclusion I have drawn some time ago. It is the paradox of many treatments be it behavioural therapy or medication. Science tells us that the vast majority of alternative medicine does not work, except acupuncture. Nevertheless, many patients claim that such treatments worked for them. How is this apparent paradox possible? One word: placebo! If you give someone pill that contains no active compound like sugar, called a placebo (pill), and say that it works, it will actually work. OK. Maybe not cure the person but definitely show an improvement though often not very long lived. The key to understand this paradox is in the way that science defines how a treatment "does not work". Scientists ask the question: Is the treatment advocated better than no treatment or a placebo pill? If not, it does not work. It is a relative statement: it doesn't work better than a placebo pill. However, a person taking the treatment will experience an absolute improvement. He or she doesn't split into two: his clone A taking the treatment and clone B taking the placebo. So he will witness an improvement not knowing that he would have witnessed the same with a placebo. Of course, if you tell him that the pill doesn't work, it will not work!! So telling him it will work even though it does not work better works. I look at alternative medicine as a way to induce the placebo effect in humans. This lesson is also very important for stuttering. Any therapy will work for us to some degree, but because it is often placebo it will be short-lived. You can read about the placebo effect and alternative medicine in an article that Ora has forwarded to me: here. Indevus, the owner of Pagoclone, has just disclosed their financial results without any mention of Pagoclone. It is now getting more likely that Pagoclone is dying a silent death rather than being sold to someone else to cover the expenses of a Phase III trial. Here is the CNN article. You notice that Indevus talks a lot about other drugs but no mention of Pagoclone. LEXINGTON, Mass., Jan. 31 /PRNewswire-FirstCall/ -- Indevus Pharmaceuticals, Inc. (Nasdaq: IDEV) will announce its first quarter fiscal 2008 financial results in a press release to be issued before market open on Thursday, February 7, 2008. The Company will host a conference call and webcast to discuss these results at 9:00 AM eastern time on Thursday, February 7, 2008. Where is the measurement error? In physics, we insist to include the measurement error into all our calculations. For example, lets drop a ball from five meters above the ground and measure the time it takes to hit the ground. Our time measurement will include an error, because we stop the clock ourselves. So the error might be of the order of 1/10 of a second. Let me repeat the measurement a few times in my head: 0.99s, 1.00s, 1.02s, 0.99s and so on. We can also measure the time with a laser, and the error might just be of the order of 1/100 of a second. But still you always have a measurement error. If we calculate the average speed of the ball, i.e. 5 meters divided by time needed, it will include an error because we need to include the time (and its error) in the computation. This procedure is very very important. Is it done in stuttering research? NO. Let me repeat it again: NO RESEARCH HAS EVER INCLUDED MEASUREMENT ERROR!. What they should do is the following: For each measurement, they need to estimate the measurement error, and include in all the calculations like statistical tests the error range from the measured values. For example, if I measure the stuttering syllables a few times, I will get different values, e.g. 15%, 10%, 20%, and then I must conclude that the value is around 15% with an error range of 5%. And I need to carry this error range with me if I calculate statistical significance for example. I discussed this issue once with Per, I think, and he said it is not done and anyway it is not physics and too much work. But, actually, because it is not physics, where measurements are much cleaner, quantifiable, and the error low, the argument to use measurement error analysis is even much greater! I think very few people are even aware of measurement error analysis. If they had included it, I am convinced (and I bet my life) that ALL MARGINALLY SIGNIFICANT RESULTS WOULD GO AWAY, swamped away by the measurement error. If I am going to be cynical, I say that only those researchers who do not do measurement error analysis will be able to publish, and those who did perished because they have nothing to report on most of the time! A reader c sent me this article on deep brain stimulation. It's an interesting tool which leads to clear improvements in many LaTourette and Parkinson sufferers. Its main effect is inhibition of electric activity of neurons locally. Maybe we should try it with stuttering, though I am not sure which region to stab! Clear conflict of interest in therapy evaluation! After academic research in theoretical physics, I worked in risk management for an American investment bank. Core principles of any good risk management is independence of the evaluator and avoidance of conflict of interests. Virtually all outcome studies violate these principles. The studies are done by the therapists themselves, which is a very clear conflict of interest. The therapists have a great interest in getting good results, and are not focused on finding loopholes as independent evaluators would do. I have never heard of any therapists that published a study that showed that his or her therapy approach is not or less beneficial. The most well-known example is of course the Lidcombe approach to treat children. The group around Prof Onslow are heavily promoting Lidcombe and at the same time have evaluated it! But, there is a bit of hope: an independent Dutch study is underway and looks at the Lidcombe approach versus a demand & capacities approach.